The following photos are of clean-in-place (CIP) mechanical cleaning service performed by MechPro Inc. at a large, well-known paper mill in the Pacific Northwest. Removal of piping (2 pass unit), opened it up. Pressure washing of both sides of each plate. MechPro’s Mechanical Cleaning Service utilizes standard industrial processes to remove contaminants from all mechanical parts which needs to be rendered clean. Cleaning contaminated parts involves two key steps; mass transfer and reaction kinetics. 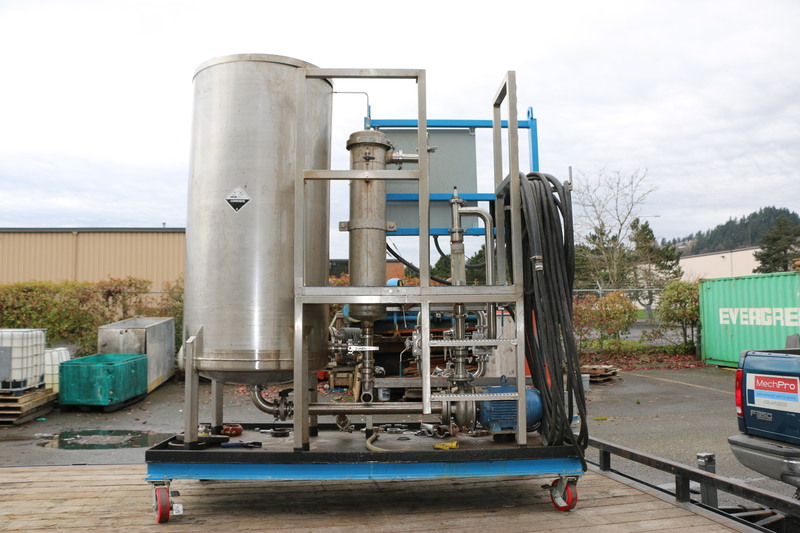 Contaminant removal through chemical means involves a chemical reaction that modifies the chemical composition of contaminants. Contaminant deposits are often multi-layered which may require a multi-step application process to remove all contaminants. Call MechPro Inc. today at (800) 249-6709 for a quote and to schedule Mechanical Cleaning Services. Running a manufacturing business in a zero-compromise industry like food production is no easy task. MechPro Inc. offers food grade equipment ultrasonic cleaning services which will help your company maintain safety, FDA and USDA regulatory compliance, while adhering to the high standards you’ve set for your finished products. Gummy vitamins are the fastest growing form of vitamins and the trend is expected to continue. According to one gelatin manufacturer, nearly half of all gelatin made worldwide currently goes to making gummy candies and vitamin supplements. The main ingredient in gummy vitamin supplements is gelatin which is a protein derived from animal tissue that forms thick solutions when placed in water. MechPro Inc. offers cleaning and maintenance services to help your company ensure Quality Control of your product’s appearance, flavor, texture and scent as well as adherence to certified Good Manufacturing Practices for nutritional supplement manufacturing. The before and after photos above exemplify the necessity of following a routine maintenance program. Call MechPro Inc. today at (800) 249-6709 for more information on our food grade equipment ultrasonic cleaning services. A typical day at MechPro Inc. Workers regasketing freshly cleaned and dye checked heat exchanger plates. Before and after photos of gummy vitamin extrusion plates, in need of specialized chemical cleaning bath. Ultrasonic cleaning method utilized (food grade cleaning solution) 1 hour and 15 minute run time. Last two photos document damage to a heat exchanger after another contractor dropped parts into the closed loop side of the building. The end plate has a large hole in it and the plates were only 4 months old. 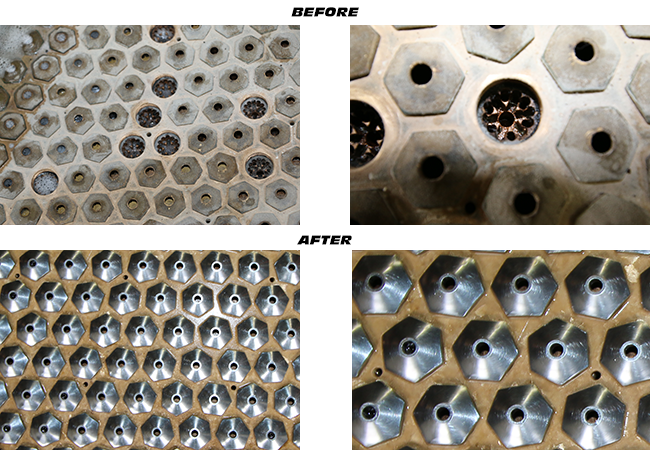 MechPro had the parts and was able to repair the heat exchanger in just a few hours. UltraSonic Cleaners used by MechPro Inc.
Just a quick video showing the a mount of agitation applied to a tank full of detergent. 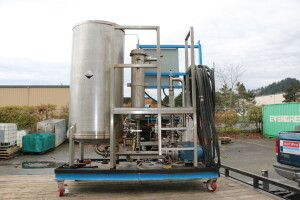 The stainless steel tank is 3′ x 5′.